Kevin Nguyen ’09 (left) is a senior editor at GQ magazine and his first novel, New Waves, is scheduled for release in Spring 2020. Previously, Kevin worked for Google Play Books, Amazon Books and Oyster, a streaming book service. While at Oyster, Kevin started The Oyster Review, a literary magazine that published essays and also featuring comics from alum Hallie Bateman ’11. Kevin’s work has been published in The Atlantic, The New Republic and The Paris Review. English minor Hallie Bateman ’11 has had her artwork (right) published in The New York Times, Wall Street Journal and The New Yorker. 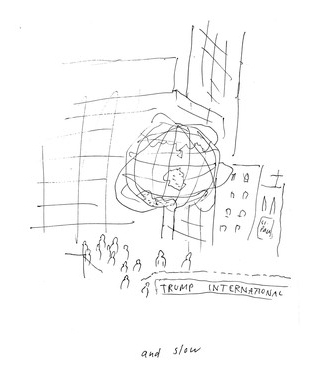 The Wall Street Journal featured Hallie for her sketches on the New York City Climate March. Click here to read the article. Hallie’s first book, What to Do When I’m Gone, was published in April 2018 with Bloomsbury. Emily Alfin Johnson '12 landed her dream job as a radio producer after interning with WBUR in Boston. She produces the National Public Radio show, OnPoint, a live, two hour, call-in show. Emily credits her success in dealing with the ups and downs of live radio to what she learned in her Writing, Rhetoric, and Culture classes. For more of Emily's insights into working as a radio producer, click here. Kari Vandraiss ’13 (right) completed her MSJ at Northwestern’s Medill School of Journalism and is an editor at SagaCity Media (publisher of Seattle Met and Portland Monthly), where she works on travel/tourism magazines like the Washington State Visitors’ Guide, Visit Seattle, and the Washington State Wine Guide. In her off hours, she is also a contributing writer to Seattle Met’s food-and-drink blog, Nosh Pit. Caroline Henry ’12 uses her English degree working as a writer for Copacino+Fujikado, a Seattle-based advertising and creative agency. While most of Caroline’s coworkers have marketing degrees, she says an English background gives her an advantage in the workplace. “Where they know sales, I know syntax. They bring me a brief, I bring them a story,” Caroline says. 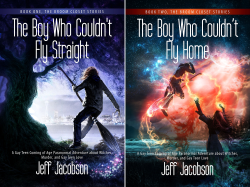 Jeff Jacobson '91 is the author of two YA novels, The Boy Who Couldn't Fly Straight and The Boy Who Couldn’t Fly Home. The books are the first two installments in Jeff’s series, The Broom Closet Stories, set primarily in Seattle. Jeff writes: "The protagonist is a high school sophomore who must decide whether or not to come out of the closet, as he grapples with his recent discovery that he hails from a family of witches. It's primarily an adventure story-think gay Harry Potter.” He currently lives in Shanghai and Los Angeles. Clay Thompson graduated from UPS with a degree in English in Writing, Rhetoric and Culture in 2009. Since graduation, he has earned his certificate in Public Relations from the University of Washington and is currently working at SAP Concur in New York City as a Senior Customer Communications & Marketing Manager. Previously, he worked at the University of Puget Sound's Admission office, the Pierce County AIDS Foundation, and at Ryther, a behavioral health organization, where he oversaw publications, database management, event planning and donor relations. Rachel Kollar '12 is a script writing consultant at Starving Artist Consulting. She also works as a freelance audio description writer. Rachel was accepted to all three of the filmschool/screenwriting graduate programs she applied to. She has an MFA in Screenwriting from California State Northridge. Jessica Rosenfeld '97, Associate Professor of English at Washington University in St. Louis, is the author of Ethics and Enjoyment in Late Medieval Poetry: Love after Aristotle, published by Cambridge University Press. Jessica is writing a second book, currently titled Envying thy Neighbor: Pleasure, Identity, and Gender in Late Medieval Literature, which examines the history of envy. 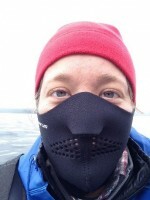 Jill Eikenhorst '09 works at an independent non-profit publisher, Mountaineers Books. Mountaineers publishes guidebooks, how-to books, outdoor literature, and photography books. She also works in fundraising and communications and previously worked in other environmental non-profits. Jill says that one of her favorite parts of her job is Braided River, the imprint that publishes photography books promoting conservation of North America's last remaining wild places. “It reminds me of a paper I wrote for Bill's (Professor Kupinse) class about environmental literature that spurs action on environmental issues!” she says. Jill also just completed a certificate in public relations. Lucinda Stroud '09 is the Information Systems Analyst for 501 Commons, a non-profit organization that supports, manages and consults with other non-profits. Lucinda also worked in Seattle theatre as a playwright and dramaturg. Her adaptation of Great Expectations was produced by Book-It Repertory Theatre in 2011 and again by Portland Center Stage Theatre in 2016. Leah Shamlian ’15 (left) is putting her English major and Environmental Policy minor to great use in the wilds of Alaska as an intern for Trident Seafoods. "The environmental compliance department at Trident Seafoods has an interesting mix of academic backgrounds: biology, chemistry, policy, international relations, even a fellow English B.A. with whom I discussed T.S. Eliot while walking the streets of Sand Point, Alaska (population approx. 900)," Leah writes. To read more about Leah’s life in Alaska, click here. Also, her personal essay Catch and Recovery placed third in Sunstone Magazine’s 2015 England Essay Contest. Morwari Zafar ’04 received her MA in anthropology from George Washington University in 2007 and now works as an international security consultant. 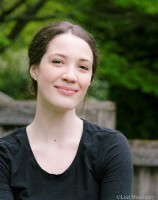 She credits her coursework in writing, rhetoric and culture at Puget Sound with her decision to pursue post-grad work in anthropology and finds her “ability to write and communicate effectively to be a tremendous asset in the professional world.” She is currently pursuing a PhD in anthropology at the University of Oxford. Morwari has articles published in Al Jazeera American, Foreign Policy and Time. Her recent memoir essay “A Thousand Splendid Stuns,” published in Granta, can be read here. David Mucklow '14 completed the MFA program at Colorado State University and has published several poems. You can read one of David’s poems here. 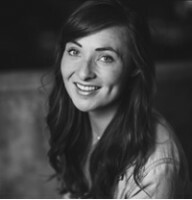 Casey Oakes ’13 works as the Director of Development and Communications for the Bowdoin International Music Festival. He is completing a Masters in Public Policy, Planning, and Management at the Muskie School of Public Service at the University of Southern Maine. 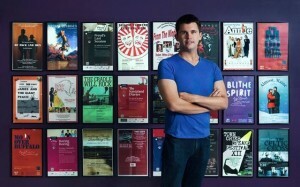 Previously, Casey was the Director of Artistic Engagement for Gloucester Stage Company in Massachusetts, where he helped re-brand the theatre’s public image and marketing strategy and created a professional apprentice program for college graduates. After completing her undergraduate education, Carol Thompson ’07 spent time living and teaching English in Japan through the JET Program before completing her graduate work at The Center for Cartoon Studies, which led to a stint doing graphic design at a comics publishing house in Los Angeles. She’s currently a practicing graphic novelist living back in the Seattle area, working under the artist pen-name CJ Joughin. Carol’s comic City of Cards is the story of a failed former professional wrestler and his amnesiac ghost-hunting partner living in a dystopic corporate-run future Reno Nevada. 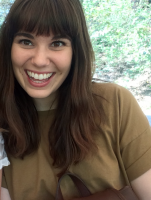 Leah Vendl '11 is currently a graphic designer for AIA Seattle + Design in Public and a freelance graphic designer. Since graduation, Leah has worked with international presenting theater On the Boards and Stranger Genius Award winner Susie J. Lee. Previously, Leah was the Editor-in-Chief of Puget Sound's Literary & Arts Magazine, Crosscurrents, and a choreographer for Repertory Dance Group. She graduated from Puget Sound with a degree in English in Writing, Rhetoric and Culture and a minor in Studio Art. Avery Daniels ‘14 participated in the dramaturgy/education apprenticeship program at the Gloucester Stage Company in Massachusetts. As a dramaturg, she did the work of an English major: researching, editing, writing analytical papers on new plays, and finding intertwining and connecting themes for the season. Avery also worked with the children in the theater's outreach program teaching dance and acting. Olivia Cadwell ‘15 graduated from Puget Sound with a BA in English literature and an emphasis in neuroscience. As an undergraduate student at Puget Sound, Olivia conducted an on-campus study that examined literary fiction’s influence on social cognitive brain activity. Olivia is continuing her passion for interdisciplinary research as a Masters / PhD candidate and Prize Fellow at The New School for Social Research in NYC. As part of her research on language and cognition, Olivia studies how cultural products that involve imagination (i.e. literature and fiction) promote empathy, pro-social, and moral cognition in the brain. Ian Greenfield graduated with degrees in English and Classics from Puget Sound in 2011. In 2012, he joined Google and spent several exciting years learning about technology, traveling internationally, and developing leadership skills. 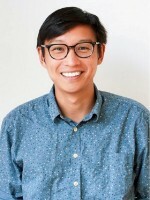 In 2016 he moved on to the gaming startup Niantic, Inc. where he works as a quality assurance engineer on Ingress and Pokémon Go. 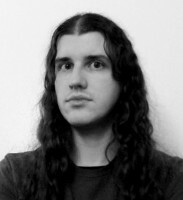 Ian lives in Seattle, writes fiction and poetry, and reads extensively in medieval history and literature.